Tonight I completed Step 8 in iKnow, and at first I was happy, because that’s one more down, and two to go (with one at 90% and the other at 50% so shouldn’t be too much longer now) to actually complete the Core 1000 officially. But then I went to get an idea of what that was in terms of JLPT and realized that if I want to try to attempt the N2 next year, I need to 5 more sets of 1000, and there’s pretty much no mathematical way that’s going to work out unless I magically gain more hours in the day to study, and spend all of my free time doing so. Which kind of was depressing. Pretty sure the N3 is still reasonable, so I guess if by next year I’m still feeling like N2 is a bit too much of a stretch for me, I’ll at least try the N3, and just aim for the N2 in 2014 instead. But ugh. I’m so frustrated with myself for not having focused more on learning vocabulary when I was in classes, so that it’s now taken me so long to get to this point. I feel like I’m never going to really get anywhere, because all my goals seem so far away, and like I never really make any progress toward them (even though I know I do, actually, but right now I’m just not feeling it). I think not doing more output/voice practice was showing in my tutor session yesterday, too. I really ought to start doing Pimsleur regularly again at least, for now, since I still haven’t finished the third level. And probably going back to reading and more importantly, reading out loud to practice sound and rhythm. I do have Harry Potter now, but I’m not sure if I can read it. Probably going to take a look this weekend to see if I can manage it at all or if it still needs to wait, but it is kind of an incentive, seeing it on my shelf, to keep pressing on and trying to study harder so I can get there. Hm. I haven’t really stopped studying, but I’m definitely sort of lacking in motivation for languages right now and so it’s all pretty minimal. Just ~2 hours of iKnow a week, occasionally poking at Lingualift, and my weekly tutoring session, but I haven’t been able to bring myself to watch or read things in Japanese lately or even listen to podcasts/Pimsleur in the car (part of that is a current annoyance with my ipod, so I’ve been listening to NPR). Occasionally I also try to test my memory of the Cyrillic alphabet, too, but those studies haven’t gone any further than that. My tenso package is at my post office, but for some reason every time I get a package shipped from Japan, they supposedly “attempt to deliver” and leave a notice, but I’ve never gotten a first notice. I always end up with a “final notice” days/weeks later telling me I need to pick it up or they’re shipping it back. Which is extremely irritating when I never get the first notice in the first place. But I can see from the tracking number that it’s there, so I’m going to try to go in tomorrow to get it? Hopefully they can get it for me on my ID instead of needing a slip or something. I was on Wikipedia today when I noticed something pretty neat. 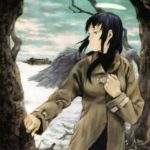 Apparently, Haruki Murakami’s novel Hard-boiled Wonderland and the End of the World inspired Yoshitoshi ABe’s Haibane Renmei doujinshi and anime. Both works feature “a city people aren’t allowed to leave, a wall, a river, a library and a clock tower”. I feel dumb for not noticing the similarities before! 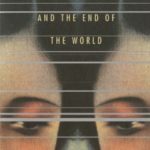 So when I first read Hard-boiled Wonderland and the End of the World for class. I got super excited that the town was so much like Guri. And asked a really silly question of my teacher if this was a common trope in Japanese fiction. And she just kind of stared at me and was like, “No.” Which made me super sad, because I was hoping there’d be a list of books I could read that were about similar towns. So also Russian? I’m still not saying I’m officially studying it, but I’m getting better at pronunciation-reading words and know most of the letters– there’s still a couple I mix up either with each other or in a false friends way. I’m learning to write them, too. Mostly I’m mentally telling myself it’s just a fun distraction to learn the Cyrillic alphabet and pronunciation right now, because I’m wary of moving too quickly in the beginning? It seems like my Japanese learning was impacted a lot by my inability to be comfortable with hiragana/katakana, and I do notice I find it far easier to pick up vocabulary when embedded in sentences than otherwise. I want to kind of reach a point where even if I can’t understand a text, I can pick up something written in Cyrillic letters and sound it all out and write it down with relative ease, before really delving into a lot of grammar studies, which are liable to distract me from the “boring stuff,” so I want to have a good foundation in the boring stuff first. Although also right now it’s not actually boring yet. Maybe because I’m just doing brief forays as a hobby between my serious Japanese studies? Either way, I’m just going to keep doing that a little until/unless it does get boring, since it’s not costing me anything extra to have access to those materials. Actually I only have gone through the first three chapters in the lingualift text, because it’s pretty difficult to work through without a better foundation in pronunciation, so I just flip through the review on writing/pronunciation and simple greetings occasionally. I can’t tell if the Russian text is not structured as well as the Japanese one, since I’m at such different levels, but I get the impression lingualift is probably not good for anyone who needs training on writing/pronunciation basics in general. The Japanese section has chapters on the writing systems, but like the Russian text, there aren’t any real exercises/drills to help you really get hiragana/katakana and pronunciation down, even though there are audio for most of the words. So you really have to do that as a self-study elsewhere if you’re literally a beginner entirely. The creators are really responsive to emails, though. At least in sending you a response. I sort of didn’t expect it, but every time I leave a comment, they email me within a couple hours to thank me for the suggestion and/or apologize for inconvenience and explain where they are trying to take the site. So I’ve been considering asking them about more pronunciation/writing system drills, too. One of the nice things about using lingualift is that it also tracks minutes spent when doing things like studying vocab. Keeping track of time is not something I’m good at. It’s also nice because even though there’s overlap on basic terms, they break it up by section, so there’s also quite a bit in the “Food and Drink” section that I’m in right now that I’m either fuzzy on or never even heard used before. I’m finding using the kanji and vocab sections is a good way to start working on my basic kanji writing again. Last week I apparently studied about 38 minutes in the vocab and 16 minutes of kanji. I’ve been using a notebook with graph paper and basically just writing out each word one or more times as I learn or review them. I didn’t bother with their kanji practice sheets– they have giant practice boxes, and it seemed like a waste of paper to print out so many, especially when I naturally tend to have small handwriting and already owned a graph notebook. I’m also actually working through chapters in the book, but I’m taking my time with it a bit as I catch up the vocab to the chapter. I’m still Level 1 in vocab, but Level 2 on kanji (as I skipped the first level), and in the book, on chapter 10. I just did the assessments for previous chapters, and then started reading through in more detail on chapter 9 (on adjectives), which I needed the formal review on. Still working through iKnow, too. I’m finishing up 8 and 9, going to start on 10, maybe this week. I’ve been completely neglecting the Super Challenge, but my thoughts are somewhat that if I do more focus on vocab, it will improve my reading/listening comprehension, so I will be able to read more/faster later and can hopefully catch up. But right now I’m just not able to get excited about it, so I think I’m just taking a break from it. My tutoring has been a bit sporadic, sadly, I missed a week because of awkward budgeting and I couldn’t purchase more tickets in time, and then missed scheduling the next lesson because the tickets didn’t process in time. But I’m having a lesson today, and hopefully will be back on track again. September was a weird month. I hope October goes a little smoother. I’d been having a ton of trouble with sleep during September, too, but that seems to be evening out a little again.